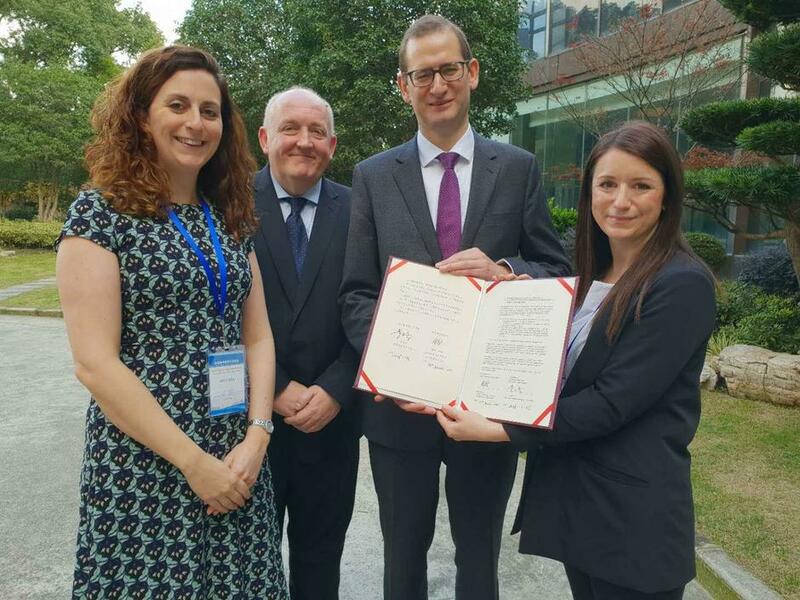 In November/December 2018 Mrs Hill was chosen to join 86 other Mastery Specialist teachers from across England to go to Shanghai for two weeks to learn more about teaching for Mastery from the country that that has been pioneering this technique for the last 30 years. China and other Asian countries currently lead the way in terms of top scores for mathematics in the world. 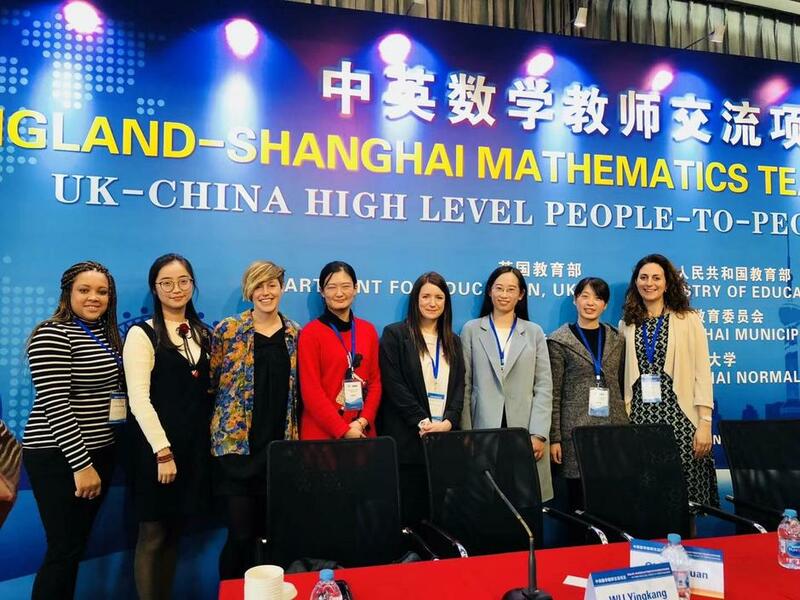 Mrs Hill spent time at Shanghai Normal University and in two different schools observing and exploring what it is about their teaching style that makes their children so confident in Mathematics. All children are very confident and fluent in number facts. First addition and subtraction key facts and then times table key facts. Children learn them well, supported by parents at home to achieve quick recall. When children are confident with their key facts their brains are free to tackle more complicated problems. Lessons are designed carefully to make connections between what children already know and new learning. Children explore concepts with concrete objects, then pictures, they then visualise the pattern or concept to internalise it before being asked to use it abstractly. Children therefore have deep and secure understanding of mathematical concepts. Staff have regular CPD and are encouraged to observe and be observed in order to learn from each other and constantly improve their practice. 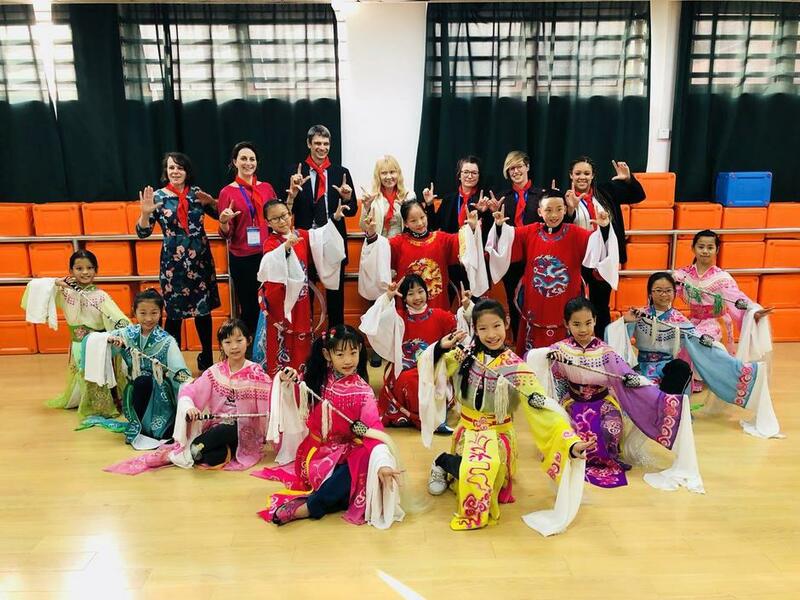 In January 2019 Winterslow School hosted two teachers from Shanghai as part of the England- Shanghai teacher exchange programme as organised by the DfE and NCETM. It was lovely for Mrs Hill to see her Chinese friends again after working with them in China for two weeks in November. Ms Wang and Ms Lingyi, went on a Maths Learning Walk around the school. They loved seeing all the interesting activities going on and how we use resources to support children’s understanding of abstract mathematical concepts. They particularly liked the diennes which they don’t use in Shanghai as much. Year 4 were very lucky to be able to have the opportunity of being taught by Ms Wang. They looked at division together. Ms Wang was very surprised by how articulate our Woodpeckers class were. They were confidently able to reason and make links between numbers quickly. This is something that we have been working hard on at Winterslow over the last few years. Mrs Hill and Mrs Groth were very proud of their class, who loved the lesson. It was very reassuring for us all at Winterslow to have two experts in Teaching for Mastery come to our school. Our staff have regular CPD in Maths and Teaching for Mastery. 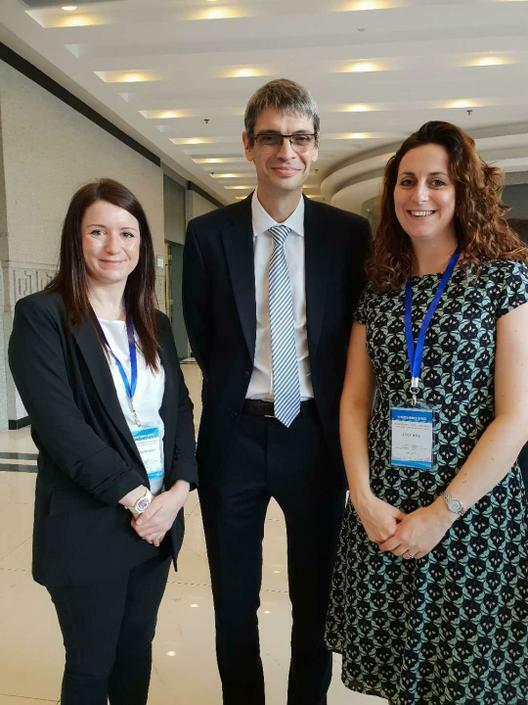 Mrs Hill's Reflections on Being a Mastery Specialist and Visiting Shanghai. The training that I have received from the NCETM towards being a Mastery Specialist has been the most thorough, informative, interesting and engaging that I have received in my career. The first year as a Mastery Specialist is spent developing deeper understanding of the 5 Big Ideas of mastery; the Shanghai approach to lesson design and how to develop Mastery in your own classrooms and school settings. The impact of this initial part of the training was that our teachers began to use whole class teaching, resources were selected better to unpick the underlying structures of the maths and children’s confidence increased as ‘lower ability’ children could see they were doing the same work as everyone else. The success of developing towards teaching for Mastery in any school is that it is a team effort and having the support and understanding of the SLT is imperative for the changes to truly be effective. With this in mind my Headteacher and I went to see the Showcase at St. John’s Primary school in Southampton. This was a really a turning point in my understanding and in my ability to articulate the vision of mastery in practice. For the first time I could begin to make sense at a deeper level of the training we had received on the theory of Mastery, as here it was confidently in practice. It was the first time I had seen whole class teaching. It was the first time I had seen the carefully crafted lesson design that seemed to effortlessly guide children from the most basic level of fractions through to complicated and challenging problems by the end of the lesson. On the car drive home we did not stop talking about what this new style would mean for us as a school and the wider impact on children’s grouping, teacher planning times, assessment and interventions. All would have to change if we were to have a whole school approach to Mastery teaching. The two things I changed as soon as I got back to my class were to seat everyone in mixed ability pairs and to have a pre-teaching group daily with my ‘cusp’ children to boost confidence and attainment and ensure that they were better able to access the lessons. The impact in this year 2 class was that all cusp children made accelerated progress and confidence and enjoyment of Maths was noted to be improved by all children. On seeing that one lesson by the Shanghai teachers I knew that if the opportunity came up then I would absolutely want to go to Shanghai and learn more. I was ecstatic when I was chosen to go. I went to China thinking that I would go and see another level of Maths far beyond where we were currently working in the UK. I believed that we were very much going out there as the novices going to learn from the experts. Whereas the dynamic was actually one of true exchange: of academics coming together, learning together and from each other in a spirit of mutual respect. 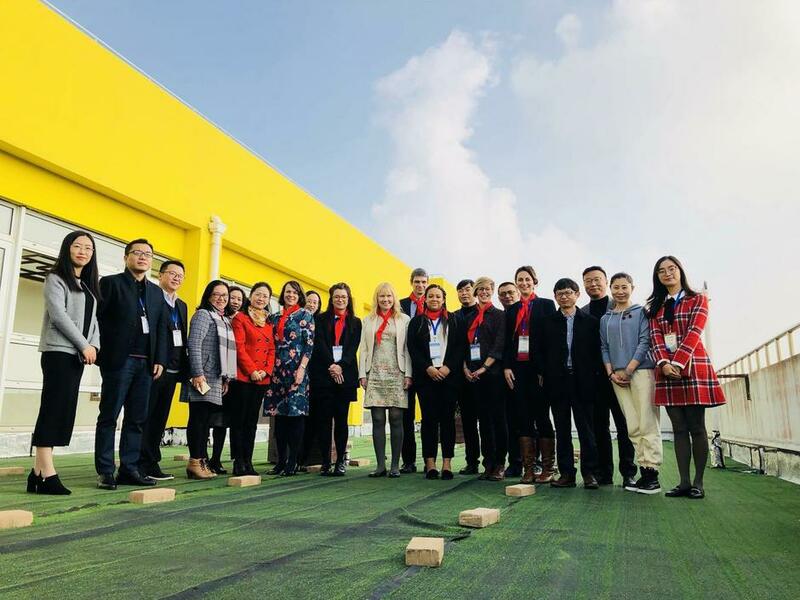 The training that we had received had been exactly in line with what they were teaching in Shanghai and so enabled us to participate and engage with the exchange on a higher level than if we had not received the mastery training first. 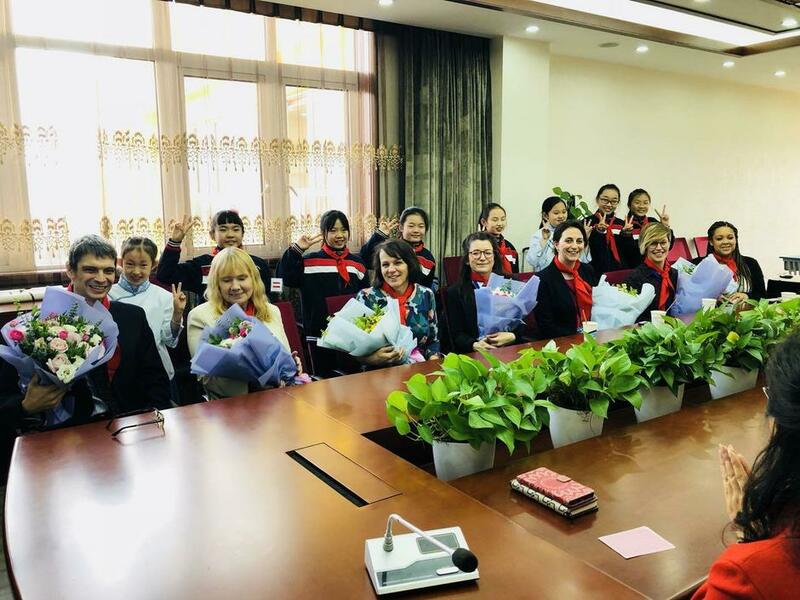 We were made to feel very welcome from the moment we arrived and the ceremony hosted at the Shanghai Normal University reiterated the essence of this ‘exchange.’ The Chinese teachers were just as eager to hear our ideas and learn from us as we were from them. In watching the lessons in Shanghai and taking part in post lesson TRG discussions I was expecting to feel overwhelmed. However my main feeling was one of deeper understanding and reassurance. If Mastery was a jigsaw puzzle then the NCETM training had turned all the pieces over so that I could see the different colours; the showcase had given me the frame on which to hang some of these pieces. My time in Shanghai allowed me to complete the puzzle with comprehensive understanding of the bigger picture of Mastery as well as knowledge of all the individual pieces. One of the concepts where I feel my understanding became more refined was regarding small steps. We had been taught about small steps as a coherent pathway through a topic to ensure deep and secure understanding. Units of work would be longer than had been taught on the old curriculum allowing children to be very confident before moving on to new learning. 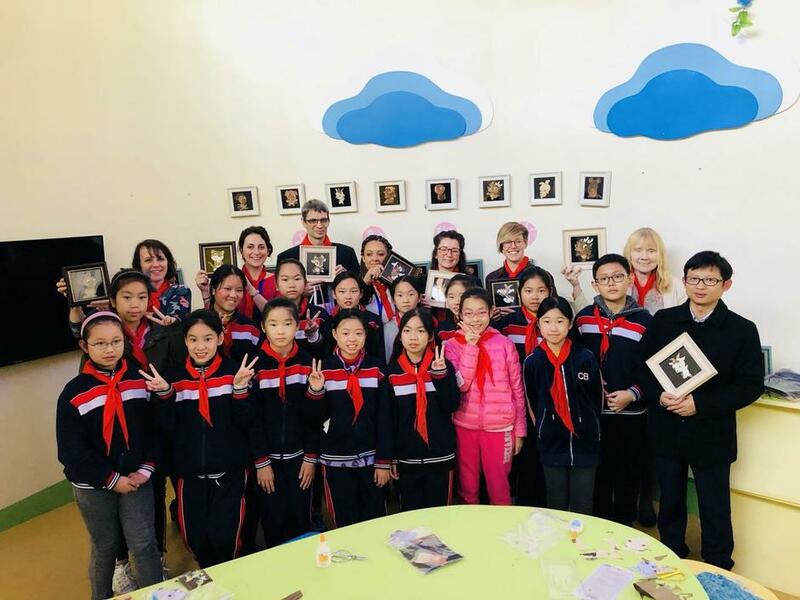 In Shanghai I was really impressed by the clear small steps within a lesson as well as across lessons that smoothly took children from what they already knew towards new learning. All teachers also had a very clear understanding of not only where their lesson fit within a sequence but the bigger picture of where it fit within the school. During my time in Shanghai I was constantly reflecting on what the teachers were doing, what the teaching steps were and how they were able to teach concepts so successfully. Having the opportunity to be in an environment where day and night you were with other teachers and could discus, share and compare ideas meant that I came home with a very clear sense of what we were doing well as a school and which aspects of mastery may have been overlooked or not developed as well yet. It also helped me to appreciate the Spines from the NCETM as I could see how they teaching Steps have been taken from the teaching steps as demonstrated in Shanghai to support our teachers here with their understanding. On return to the UK I spent time with staff looking again at lesson design as I felt this was the key to bringing the 5 Big ideas together and to ensure deep and secure learning was taking place in all lessons. This will be something we continue to develop over the next year. It was fantastic to have the opportunity for our Shanghai partner teachers to come and visit us and get their feedback on Teaching for Mastery in our school. They were really impressed by our children’s ability to reason and to make mathematical links within the lesson justifying their thinking. I think they were surprised and I was thrilled, as this had been a real focus for us as a school over the last two years. Children are now used to answering in full sentences, using what they already know to solve problems that they don’t and to share and justify their thinking. 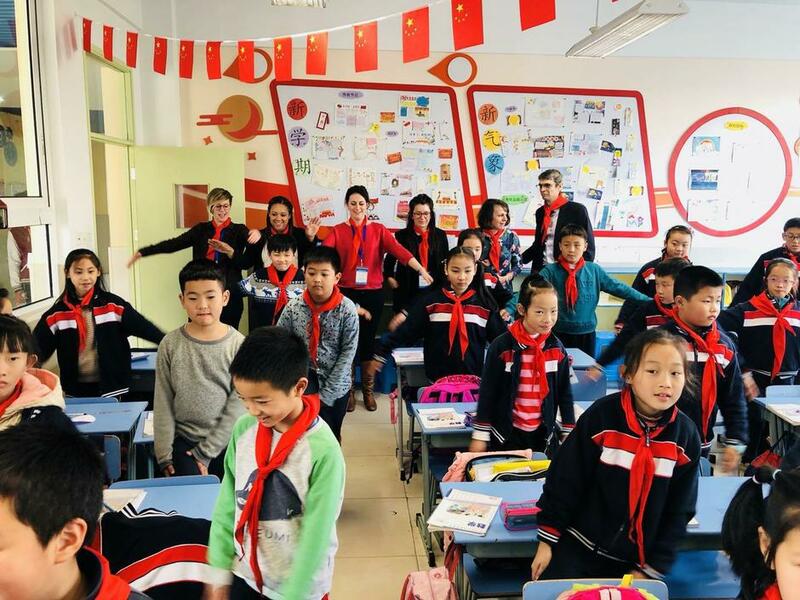 Seeing Ms Wang teach my own class was also lovely as it meant that other members of staff were able to experience the Shanghai style and see it work with the children at our school. The children loved their special lesson! In Shanghai we were asked to team teach and team plan a lesson. I found this to be one of the most challenging and rewarding experiences as having another professional to bounce ideas off and to review and reflect with took my planning and understanding to another level. This is something that I will be sharing with staff and my TRGs at home. I firmly believe that one of the key reasons that teachers in Shanghai are so confident and inspiring is because they are given time to plan together, observe and reflect. I am now better able to support schools as I have a clear and confident understanding of the cycle of team teaching, lesson design, reflection and review. This culture of constant development is a norm for them. By allowing more time for open classrooms and regular team planning and review we too can progress, develop and improve our practice to be the best Maths teachers we can be.